Doug Anderson, the creator of the Dungeon Maps, has a blog where he discusses his projects and this blog is the topic for this week's Free GM Resource. 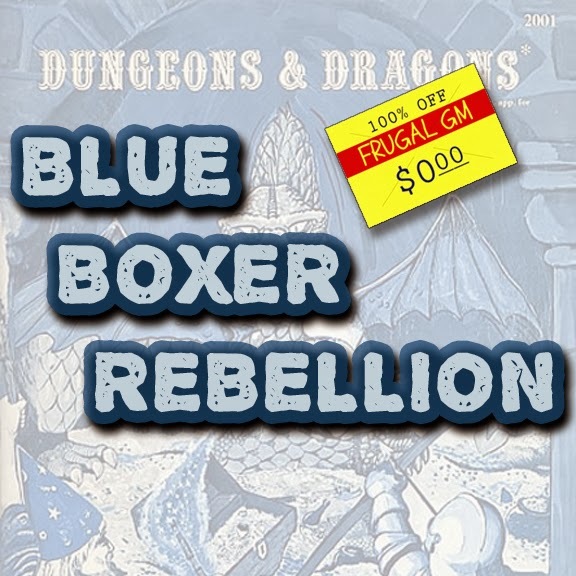 Blue Boxer Rebellion may or may not be to your liking as RPG Blogs go, but Doug has been really generous with some free downloads that you might find interesting. Of course, I won't provide direct links to these downloads because, well duh..., but if you go to his blog you shouldn't have any problems finding them. ......here is a helper graphic. Most of the downloads are for some simple maps and geomorphs (I have always been a sucker for geomorphs), but there is one particular gem I thought people would really enjoy. That gem is a small RPG! Doug came up with his own RPG which he calls Dungeonteller. 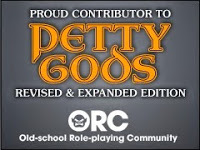 I've only given it a quick once-over and I'm loathe to give an actual review to RPGs I have run & played, unlike far too many other people, but at first glance it seems to be a relatively quick & easy rules-light game. Just from what little I saw I think it could be a good game to introduce people to RPGs. 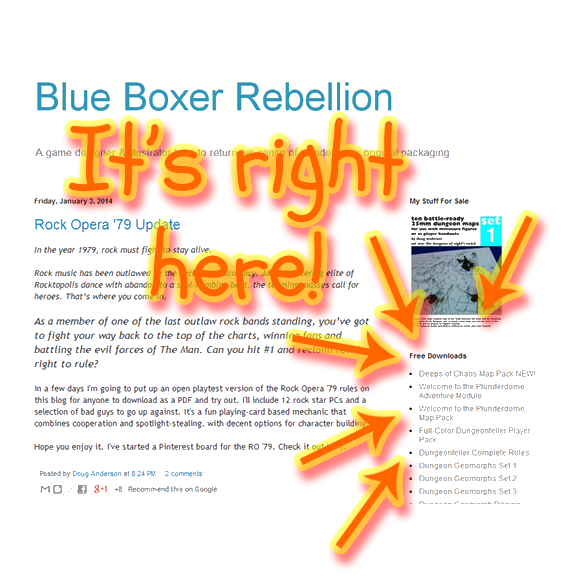 I recommend heading over to Blue Boxer Rebellion and checking it out for yourself.